“Let me see a summary of the refraction of organic ketchup over the past half year in 30 minutes please.” It is just one of those questions that a site manager from a sauce factory could ask his quality engineers to do. At most factories such a question would result in a search in a set of binder files to find the test results, and enter these in an excel file to create the desired statistics and trending. At the Kraft Heinz factory in Elst (NL) they simply run their statistics directly on their system, and the site manager has the required information on his mobile within a few minutes. Benchmarking performances of the different Kraft Heinz sites leaves no room for complacency by local management and staff. Operations and quality are continuously subject to close monitoring. “Yield” for example, is a key performance indicator (KPI) monitored by Hans Hendriksen, site manager, as part of his MBO (Management by Objectives). This is a KPI which is constantly under pressure, and the new software plays an important role to improve it. 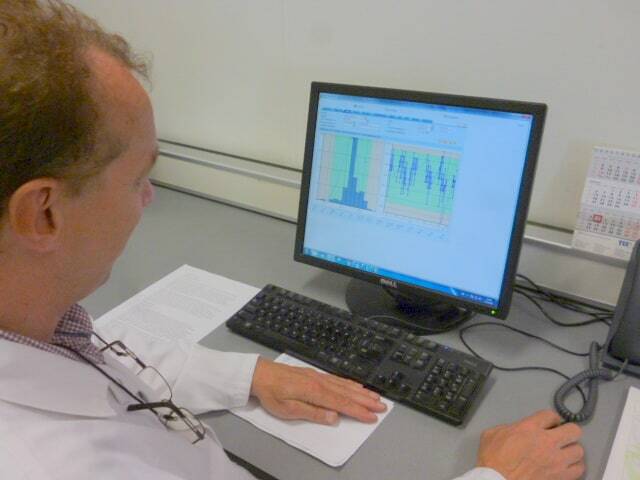 Since the introduction of the new software a lot of product quality measurements have been collected in the database. By now, the amount of data is enough to abandon the ad-hoc analysis method, and start data analysis on a structural basis. Lab Coordinator John van Bolderen has started this process and analyzed the salt-, pH- and refraction-data of all their recipes over a period of time. Van Bolderen’s statistical analysis on the test results from the A-lab (central analytical lab) showed that in the past period there was a deviating refraction which he found out was due to a change in process and recipe. Although the refraction values in the statistical process control did not show out-of-spec results and were in line with the normal (Gaussian) distribution, it was de Capability Index (CPk) that gave John the indication that something had changed. “The sauce we produced was all right”, says Van Bolderen, “but it turned out that the volumes produced were not as high as they should have been in relation to the amount of raw materials. Without the statistical analysis we would not have identified this loss, let alone solve it!” The implementation of this new software at Kraft Heinz in Elst was enabled for a great deal by the commitment and perseverance of one man: Site Quality Engineer Sander Huitink. Since 2007 Huitink and his team tried to get rid of their daily pile of paper-based records with test results (60-70 forms per day) and switch to a database instead. However, the Kraft Heinz worldwide implementation of SAP slowed down their plans. As a key user in the SAP implementation Van Bolderen soon concluded that the standard SAP software did not meet their requirements. This was the moment that Huitink decided to go bigger, and build a strong business case to properly address this issue. An opportunity came up when the site had to replace old tailor-made software which was used by process operators and lab personnel to carry out ketchup quality tests. It had to be replaced by modern software, supporting the operator step by step in carrying out the quality tests, including decision rules on how to respond to off-spec test results. Huitink: “We wanted more than just going paperless. Rather than correcting issues afterwards, we wanted to prevent issues by using predictive analytics. For instance, by having a trend line on pH behavior, we can adjust the process in time to prevent out of spec at a later stage. Also, we wanted to validate our recipes, to define our capability to meet the specifications: are the measurements close to target or close to the spec limits? Can we improve the specifications, the process or the recipe? 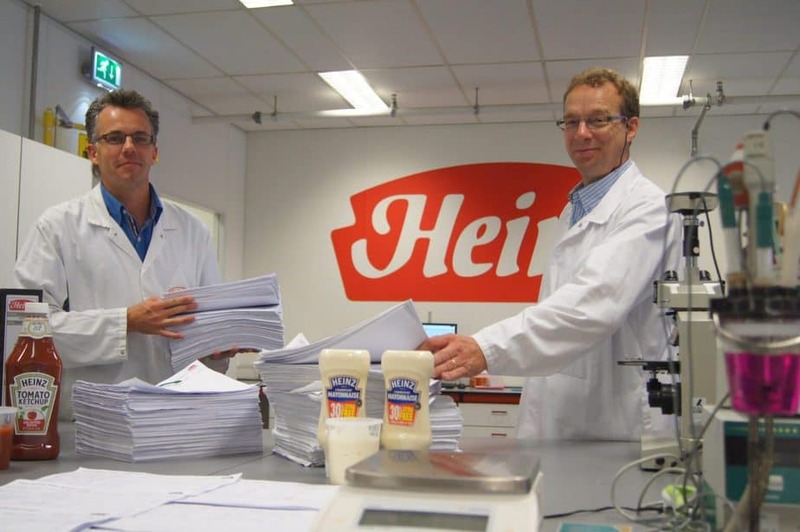 This is especially important for new recipes we receive from the Kraft Heinz Innovation Centre in Nijmegen. If you can prove that it will generate substantial savings, our company is truly open to this type of initiatives”. Huitink and Van Bolderen listed the cost of batches that were put on hold or rejected (in quarantine) in 2010 and 2011. After proving that the quarantine costs could have been prevented when having a good piece of software for this, the project to implement the Laboratory Software (L@b App) was given the green light. Meanwhile, the Kraft Heinz R&D dept. in Nijmegen is also connected to the system. Experience with statistical process control and detailed knowledge about the process have been vital to the successful implementation of L@bApp. Another aspect here is that the Quality Dept. is not merely focused on quality control at the end of the process, but is, on the contrary, closely involved in all phases of the production process. Van Bolderen has worked for the company for more than 30 years. “The real-time (mobile) availability of quality and process data on PC, laptop, tablet or smartphone has another effect”, he comments. “No longer the staff can report in vague terms. For instance, at a shift handover the team leaders can see the trending of the previous shift, whereas the qualification “within spec” used to be sufficient on a handover report, which is of course never the full story. Communication between Kraft Heinz employees takes place on the basis of exact information now. If we need to adjust our processes in production, the reasons are completely clear to everybody involved. So, the old operator software which had become difficult to manage, was replaced by new tailor made software reflecting the typical Kraft Heinz operating procedures and recipe-specific decision rules. This software was connected to standard software in the cloud, collecting measurement data from the lab, kitchens and production, presenting trends and performance metrics. Cloud software is known for its easy and quick implementation and the absence of installation and infrastructural activities (servers, network, system management, etc.) , which is most welcomed by busy IT departments. In general it is also more cost-effective than on premise software which is installed at the customer’s site. Customers use the software on a subscription basis, and can start using the software immediately. It’s of paramount importance that the cloud service is established with a professional data centre, with guaranteed optimum security and availability. Unforeseen failures have hardly any impact on the continuity of the service.